Have you heard of Bidvine? Well Bidvine provide a service to help connect customers and professionals in your area to complete the tasks you require, these professionals then contact you with a bid for the work you want completing. Anything else the Photographer needs to know? 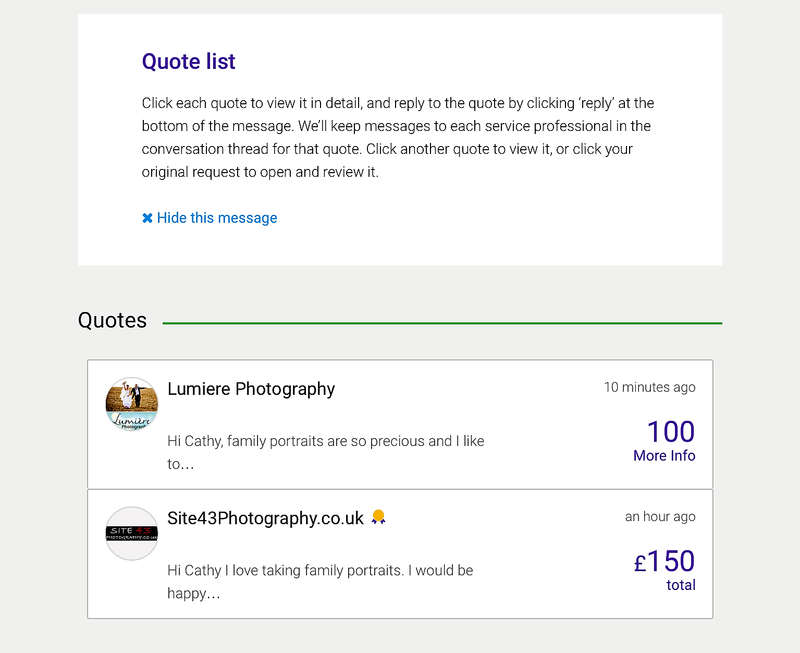 What is your estimated budge for the photographer’s services and images? In what format would you like the final images? The whole process was easy to follow and it made a refreshing change not to be searching through yellow pages or the internet. I felt in control over the whole process as I was asking for something specific, without making numerous phone calls and asking for prices. Now bearing in mind I live in rural Derbyshire and services are limited I was a little unsure of what the response to my enquiry would be. Within minutes I had two replies in my inbox but you can receive up to five. Both of the quotes I received gave me a cost and what level of service to expect i.e. cost of session and then choice of digital files, prints or albums. 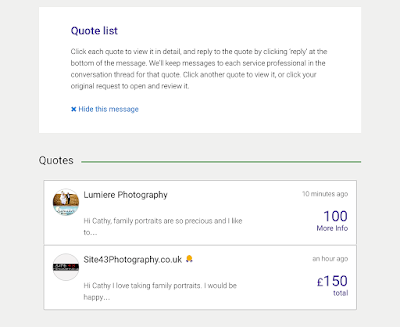 You can then respond to the quotes that meet your needs the best. So if you are searching for a professional in your area then why not give it a go, they can supply quotes from plumbers to DJs. 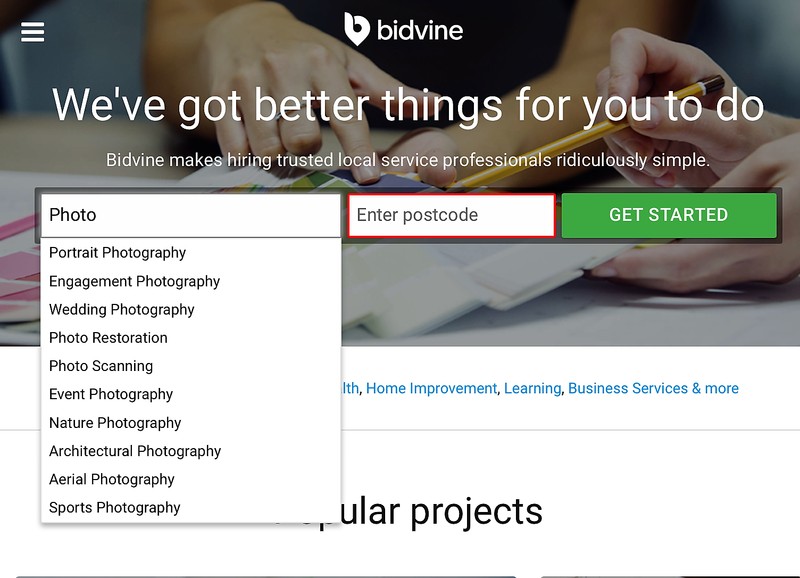 Bidvine only use trusted local professionals and therefore you can rely on them to find the perfect match for the job you require. This post is in collaboration with Bidvine.